Priced below KBB Fair Purchase Price! Alloy Wheels *, Backup Camera *, Bluetooth*, Power Mirror Package*, Tow Package*, Remote Start*, Power Package*, 4WD, Blind spot sensor: Blind Spot Warning (BSW) warning, Distance pacing cruise control: Intelligent Cruise Control (ICC) w/Full Speed Range & Hold, Rear Parking Sensors. Hambelton LaGreca Super Center WWW.hamlag.com. 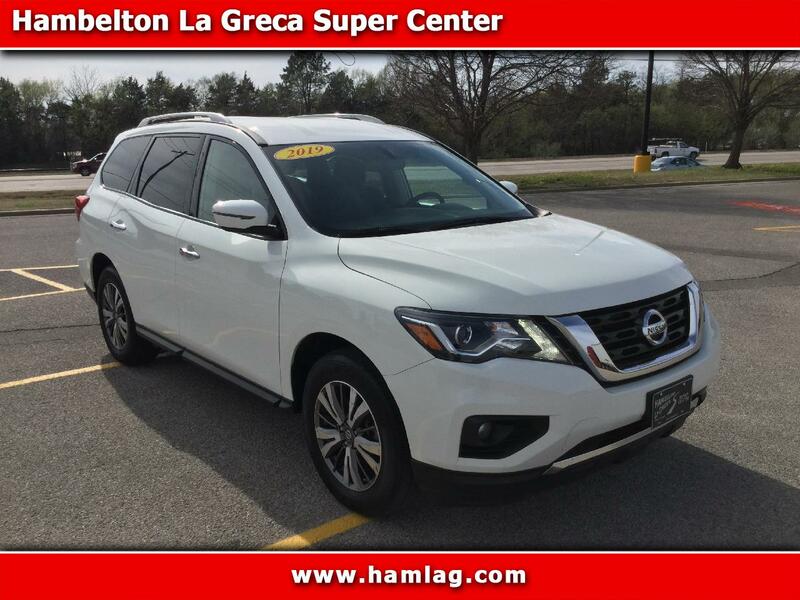 medium metallic gray 2019 Nissan Pathfinder SV 4D Sport Utility V6 4WD CVT with Xtronic Odometer is 2255 miles below market average! Excellent Financing Available!